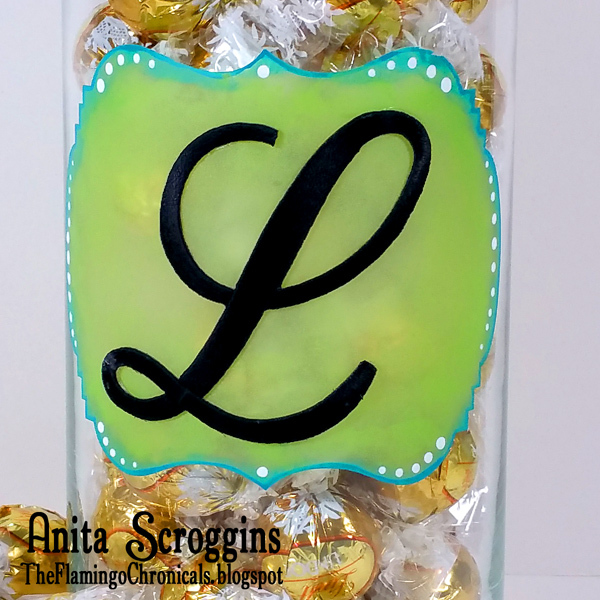 I love to give gifts and an elegant monogrammed candy jar is always well received. I found this plain glass jar in a dollar store and knew immediately that I could make something fabulous with it. I decided to etch a plaque shape on the surface, add some color with glass paint, and finish it off with a large Joy embroidered letter. I cut a label shape in the vinyl using my electronic die-cutter and applied the stencil to the jar. Apply the etching creme following manufacturer's directions. Before removing the stencil, sponge on some paint over the etched area, blending from dark to light. 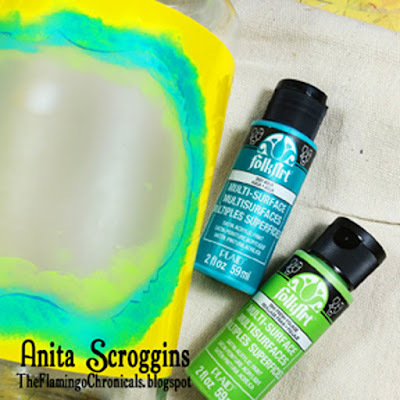 Paint a thin line around the edge right next to the stencil. 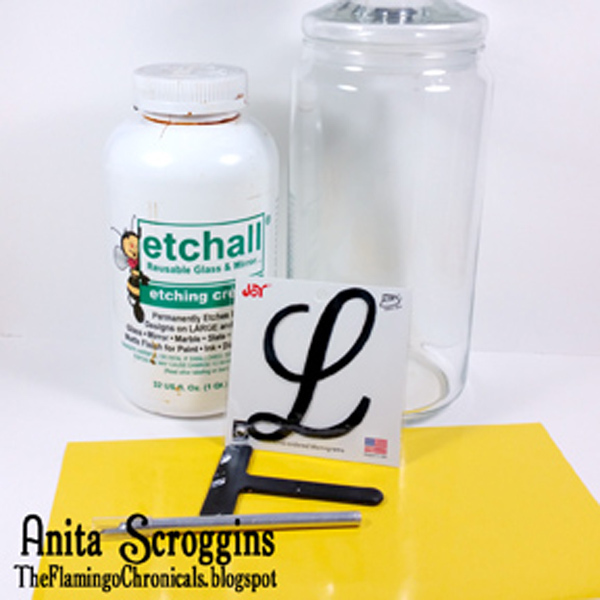 Remove the stencil, set the jar aside to dry. Using the tip of a paintbrush handle, add white dot accents around the edges as desired. 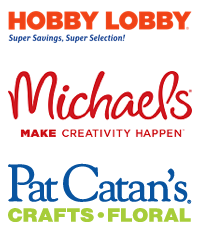 When the paint is dry, glue the letter to the center as shown. 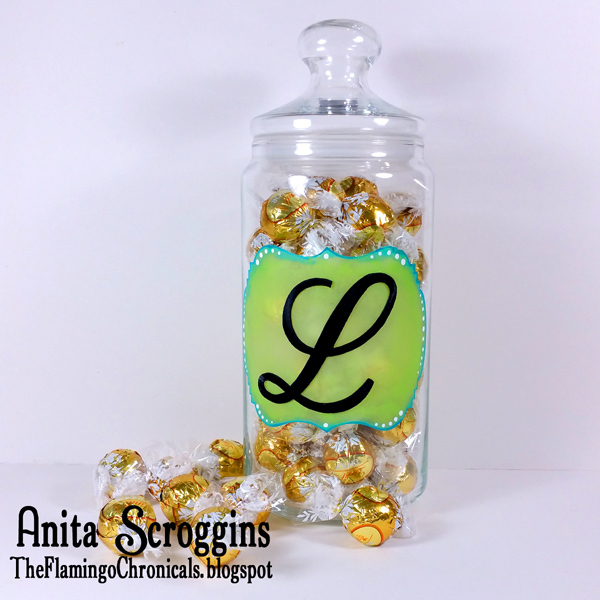 Fill the jar with candy and present to your lucky friend.